With the aim of enhancing mediation knowledge and expertise, MSU has developed projects focusing on specific issues that arise in the prevention, management and resolution of conflicts. Current projects include addressing conflict related sexual violence, designing ceasefires and mediation around natural resources. That land and natural resources can ignite, fuel or prolong conflict is widely recognized. Mediation’s importance as a tool for conflict prevention and peacebuilding in the context of resources-related conflicts is also increasingly understood. In an effort to provide mediation professionals with good practices and actual strategies for using mediation in preventing and resolving conflicts involving land and natural resources, the Mediation Support Unit, Policy and Mediation Division of the Department of Political Affairs (DPA) and the UN Environment Programme (UNEP) together with Columbia University’s Centre for International Conflict Resolution (CICR); and the Centre for Humanitarian Dialogue (HD) developed a research project on mediating natural resource conflicts. The project was also supported by the UN-EU Partnership on Land, Natural Resources and Conflict Prevention. In November 2011, the project partners brought together over thirty natural resource mediation practitioners for a workshop in New York in order to share their own good practices and lessons learned on mediating natural resource conflicts. The ideas discussed at the workshop formed the basis of a guide entitled “Natural Resources and Conflict: A Guide for Mediation Practitioners”. The Guide was also subject to external peer review, which greatly enhanced the quality and clarity of the content. In 2018 the Guide was translated into French and Spanish (Arabic to follow). This Guide (also available on UNEP) and offers practical advice, drawing from decades of experience, on the mediation of natural resource conflicts. It aims to inform mediators and stakeholders addressing conflicts over natural resources — whether those disagreements are violent, have the potential to turn violent, or are part of a larger political struggle, including within a peace process. It draws on the field experiences of mediators and mediation experts. It also features lessons learned from UNEP's work on environmental diplomacy in different conflict affected countries, with a particular focus on how to use impartial technical knowledge to equalize stakeholder information in a mediation process. Helping to identify paths towards resolution through mediation and third-party involvement, the Guide can be applied for localized and transboundary conflicts, as well as natural resource disputes that arise in the context of broader peace negotiations. 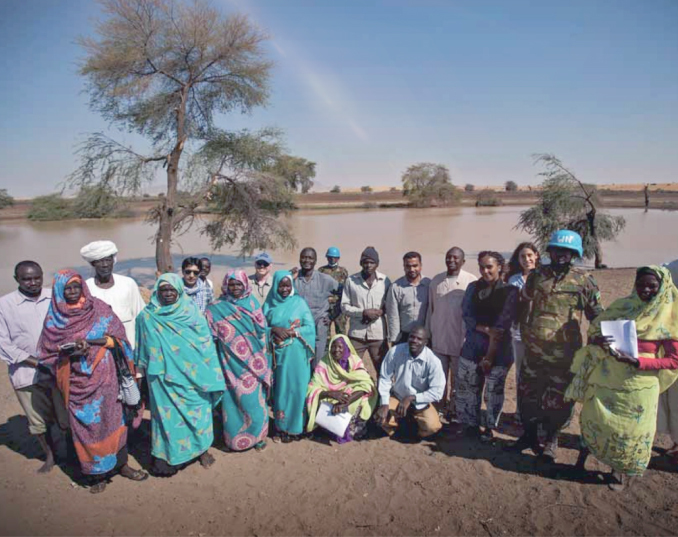 The primary audience of the Guide is mediation professionals and supporting institutions involved in localized or transboundary natural resource disputes, or those engaged in peace processes where natural resources play a critical role. However, it may also be of interest to stakeholders and natural resource management experts involved in disputes over natural resources that might be considering a mediated solution, ranging from governments and companies to local communities and nongovernmental organizations. It also contains information that is relevant to experts working on conflict-sensitivity, conflict prevention, and peacebuilding linked to extractive resources, land, and water.